501 minutes of progressive music & style. Levi’s BERLIN Unbuttoned reached Berlin. After a long journey through Zurich, Vienna, Hamburg, and many other cities, “501 unbuttoned minutes of progressive music and style” was throwing a party on 2nd July at Astra Kulturhaus in Revaler Strasse 99. The event was a musical melting pot featuring a breathtaking line-up that opens with Garage-Rock and UK-pop but later explodes with Electro, Hip-hop and House. 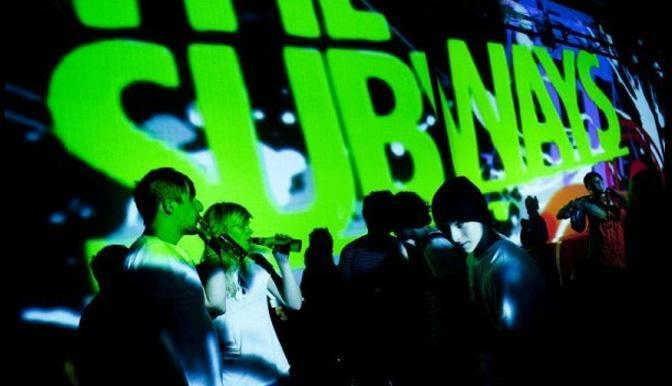 Subways, Esser, Boys Noize, Crookers, Amandablank and Shirkhan were accompanied by MOTIONLAB & Neon Golden Visual Artists. Aligned to the needs and the expectations of the client we demonstrate the massive power of smart Event Design on 4 floors. Under the network of Beauty Parlour, we worked together to do the visual design for this event – style guide, floor design, projection design, mainstage appearance, content creating, sampling & implementing branding footage and playing live visuals. Set design, content design and performance must go hand in hand to achieve the most impressive results. We welcomed the guests by a panorama slide installation, which perfectly fit the existing architecture. Time for Branding. Levi’s provided some of their promotion clips, we pimped them up and integrated them in the visual appearance of the event. The mainfloor… 36 G-lec LED Panels and 10 VMS projectors changed the mainfloor into a visual powder keg. We used 10 VMS projectors (a video projector with a mirror unit) to project on the side walls, on the ground or on people. Realtime triggered by DMX. For every live-act, we created a unique multiscreen clip and used them as teaser or during the act itself. In this case “The Subways”. Last but not least the VIP bar. A tribute to the city Berlin implementing the Berlin Bear in the slide subject and picked up the floral theme of the wallpaper. All Content within this page copyright by MOTIONLAB, unless otherwise noted. All rights reserved.